Our UNESCO World Heritage Site is one of the most visited locations in the city today, owing much of its success to the historic trade along the waterfront. The Pier Head is also complemented by the radiant views of the River Mersey, which make for a beautiful experience on an iconic Mersey ferry. But what did the waterfront once look like? We’ve picked the very best historic photographs to show off Liverpool’s maritime beauty. Liverpool first became classed as a city in 1880, not long after its first university was established. In 1881, there was an attempt to blow up the Town Hall by James M’Grath and James M’Kevitt, which was fortunately foiled. The Southport and West Lancashire Banking Company also collapsed, causing damage to businesses, such as the West Lancashire Railway Company and The Botantic Gardens Company. The image was taken circa. 1885 and depicts Liverpool’s waterfront without the Three Graces, whilst St. Nicholas’s Church stands tall amongst the other buildings around the vicinity. The Albert Dock’s regeneration began in 1983, with the aim of restoring the dock system, which meant the removal of contaminated silt. Worries about repairing the bomb damage from WWII were quashed, after a survey revealed the foundations were still in excellent condition. This was due to the quality of design created over 150 years previously. Now the Albert Dock is one of Liverpool’s most admired tourist attractions and has an estimated four million visitors each year. Opening in 1771, George’s Dock was located directly outside St Nicholas’s church, where the strand now stands. Some of the original wall of George’s Dock can still be seen in the basement of the Cunard Building. Over 100 years later, the dock was filled in to create the Pier Head, creating a central point for shipping offices. The above image shows the construction of the Liver Building in 1908. Construction of the Royal Liver Building began in 1907, with the above image depicting the foundation of stone being laid. It was designed as an office for the employees of the Royal Liver Group, and was one of the first buildings in the world to be built out of reinforced concrete. The building opened three years later on 19th July 1911. The Royal Liver Building is shown without the liver birds and clock face around 1908. Many ships that passed by the Liverpool Dockland would use the clock tower to tell the time. The clock faces are also larger than those of Big Ben and were originally coined the George Clocks, as they were started at the exact same time King George V was crowned on 22nd June 1911. Local legend states that if one of the birds were to fly away, Liverpool would cease to exist. This image was taken from the SS Laurentic as it set sail for Canada in 1913, showing the Liverpool landing stage, also known as the Pier Head. The SS Laurentic belonged to the White Star Line, but started out her life as The Alberta, which was one of the largest ships built for the Canadian passenger trade. However, its glory was short-lived when the liner struck two mines on 25th January 1917 in Northern Ireland, after serving the Canadian Expeditionary Force at the time of the Great War. There were only 121 survivors, with 354 passengers and crew members killed in the sinking. 22 bars of gold reportedly still remain on the seabed from the cargo hold of the ship. Take a look at the mysterious portrait of a man in 1915, who is looking at Liverpool’s grand architectural structures from the Liver Building. By this time, only 7% of ships coming into Liverpool were sailing vessels, and the development of steamships soon meant the Albert Dock, with its narrow entrances, could not handle the pressures of 20th century shipping activity. Several more buildings were added to the Albert Dock after its opening in 1846, including a house for the pier-master that still stands today. The house was one of four built on Albert Parade, but was the only one left standing following heavy bombings during WWII. The Piermaster’s role was to ensure safe passage of ships leaving and entering the dock during high tide. Take a look at the aerial photograph of the Three Graces in 1920. During this decade of prosperity for the UK, Liverpool’s unemployment was above the national average, and there were many violent outbursts against Protestants and Catholics. The twenties also brought glory to Everton Football club, who won the Football League First Division title in 1928, with Dixie Dean scoring a record 60 goals that very season. View the Princes Dock in 1920. During this decade, the dock was used less for shipping and more for passenger vessels. The dock was also one of the original Overhead Railway stations, as Princes Dock station was 16 feet above street level, opening in 1893. However, during WWII bombing campaigns, the station was badly damaged and could not be saved. It was demolished with the rest of the damaged Overhead Railway in 1957. Taken in 1923, this image shows the Three Graces, the River Mersey, the Albert Dock and what looks like the ferry departing for Birkenhead. In the 1920s, Liverpool was covered by a thick smog created by coal fires and industry, combined with the rotten stench from tanning yards. The heavily polluted air caused many problems to the waterfront, with the Liver Building taking on a darkened façade. However, Liverpool’s industry was booming and making great strides after the WWI, all aided by the shipping business coming through the docklands. The Pier Head and the Three Graces are not just part of the World Heritage Site, but they are also listed buildings. There were plans in the 20th century to create public baths on the site; however, in 1913, plans to build a new headquarters for the Cunard Line were put in place, leading to the building’s construction in 1914. In 2002, there was another project to create a ‘Fourth Grace’; however, this fell through when necessary changes had to be made to the waterfront. During the 1930s, the Great Depression hit Liverpool hard, leaving thousands of residents unemployed. The local council came up with a plan to build a large amount of housing to create more jobs in the construction industry. These tactics led to more than 30,000 new council homes being built, replacing the “slums” of Liverpool. In 1934, The Queensway opened, becoming the first Mersey Tunnel road and direct link to the Wirral, helping the rising number of motor cars and great congestion within the city. The photograph was taken of the Albert Dock and Salthouse Dock on 5th September 1934. The Salthouse Dock was designed by Thomas Steers and opened in 1753, taking its name from the profitable salt industry. Becoming a key part of the trade, Liverpool refined Cheshire rock salt and the creation of the Albert Dock allowed crucial vessels to be unloaded and reloaded into the Salthouse. The photograph above shows the Overhead Railway, the Albert Dock and custom house, prior to the Liverpool Blitz 1941 as a result of the Second World War. Built around 1839, Custom House was home to many offices, including the Docks and Harbour Board. In 1941, the building was struck by a bomb and suffered great damage; however, the shell remained intact. The final blow came as city planners decided to demolish the building in 1948. There was a huge project after WWII to rebuild Liverpool; this included the Seaforth Dock and many housing estates that were damaged during bombing campaigns across the city. In some respect, the 1950s became the decade of regeneration, attempting to help the city back on her feet after a gruelling number of decades of decay, either from war or loss of trade. The council demolished a great deal of terraced houses and replaced them with high rise flats; however, this was perceived as an attempt to break-up the local communities that defined the city. The photograph above shows the Pier Head flood in 1960. 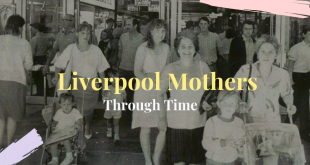 The 1960s was a huge decade for the city, with Liverpool becoming the home for youth culture, creating an endless array of hits that defined the Merseybeat scene, with The Beatles making their everlasting mark upon the maritime city. At this time, the docklands suffered great misfortune, with manufacturing industries in decline and the new freight transport system crippling the ports that once brought so much to Liverpool. As a result, Liverpool sadly had one of the highest unemployment rates in the UK. It’s not only Liverpool’s waterfront that has altered significantly over the years, check out 32 Photos to Show How Liverpool has Changed. A trainee journalist who also runs The Music Manual, www.themusicmanual.co.uk.